There are advantages and disadvantages to having a whole new season available in its entirety straight away, according to binge-watching Limerick man Conor Keane. That's the case with the new season of House of Cards, which was made available on Netflix today. The political drama starring Kevin Spacey is now in its second season and is only available online. Every episode can now be watched, meaning eager viewers don't have to wait a week for a new episode and don't have to wait through advertisements. Binge-watching, which was one of the Oxford dictionary's words of 2013, means sitting down to watch a lot of episodes of one show in a single sitting. Online TV and Netflix have really popularised this phenomenon and it's something a lot of us are guilty of. Mr Keane (28) will tuck into the show tomorrow and says it won't take him too long to finish the highly popular show. "When I watched the first season, it took around four days to finish it. I binge-watched throughout college. I was a bit sad when it was finished, but I didn't watch any episodes since then," he said. "Netflix know they're market. Releasing them all on Valentine's Day means that anyone who isn't going out will be sitting down to watch a lot of episodes. I'll probably get this season done by Tuesday." This may seem a bit antisocial, but for Conor, it's still a social affair. Instead of watching it on a tiny laptop screen in his bedroom, he streams the show on his television and watches it with his friends. Since he started binge-watching, Mr Keane said his tolerance for advertisements has also declined. "I don't want to do advertisements, I don’t want to wait an entire week for another episode. It can be frustrating," he said. "The second advertisements come on, I either change the channel of just completely tune out." 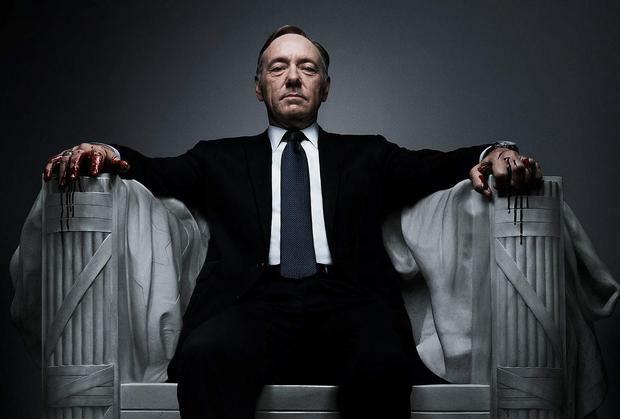 Season Two of House of Cards is available on Netflix now.